I scare the hell out of myself sometimes! August 15th I placed a post about Elvis Presley. I mentioned, and I put it in quotes, that the "scream" factor was missing from this performance. Well dontchya know The Scream, a masterpiece by Edvard Munch was stolen about a week later. Sheeeesh!...I hate it when that happens. 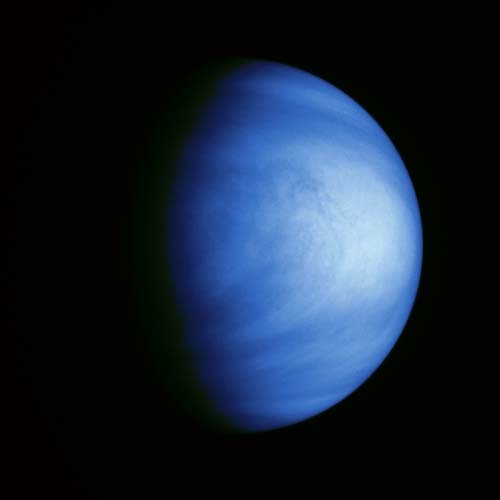 It takes the planet Venus, the only planet named for a woman, 8 years to fully complete one of its cycles of the universe. And if you plot the journey at the end of one of Venus's cycles you will find it forms a pentacle. Symbol of the goddess Venus and of Natures Divine order. SO...The ancient Greeks set these olympic events to coincide with this Divine Order. Thus every 4 years an Olympic event is held. One, the Summer Olympics, at the midpoint of Divine Order and the Winter Olympics at the arrival "home" of Venus. This in keeping a Divine Order. Ever wonder why they were always 4 years apart? Even after they were banned in Greece the timetable was kept. By the way...if you check my web site I posted a video (with narration) of those two new moons discovered orbiting Saturn! You know they're only about 2 miles in diameter? How they haven't been smashed by meteorites is amazing! So Saturn has 33 moons now. Great things are going on out there! You do realise that the starlight you see and the photos you see from Hubble is light from thousands of years ago? You're literally looking back in time! If you asked me for a discription of the painting of The Last Supper I would have told you, in the past, that the painting is of Jesus and His twelve followers sitting at a long table with a gold, gem studded goblet or chalice (some believe is the Holy Grail)at center of the table, bread and a feast of food items on the table. Well would I have been laying a load of misinformation on you! I've seen the painting many times during the course of my life. I would have felt one hundred percent certain of what I had told you. But I never really saw the painting. And I think most people have never really noticed it either. I believe it's taken for granted what the painting portrays. So the painting is never really seen! Now I understand the people who gaze for extended periods of time in art galleries studying a painting! I viewed the painting. A Pre-restoration and the restored version. Which is the same DaVinci painting. Not two seperate paintings or a reproduction. I was stunned to see a woman sitting at Christ's right hand! And (viewing the painting) the third man from the left, sitting at the table with hands raised, has a hand holding a knife in front of him! The hand is "just there". Of all the characters in the painting not one is in the posistion to be holding the knife at the angle it appears. It's always been there but I never saw it! Now I've seen it! The woman is Mary Magdalene. The wife of Jesus. Later to bear their daughter Sarah, who was conceived prior to the crucifixion of Christ. The knife is considered by scholars of the arts to be DaVinci's way of conveying, with this symbolism, the fact that if you disagreed with the Church you were basically asking to be destroyed in one way or another. This is one of the many facts mentioned in Dan Brown's Book The Davinci Code. Also there is no gold, jeweled goblet/chalice anywhere to be seen. Think of it...Jesus and His followers were poor. They were in hiding. Where would they get a gold, jeweled goblet? Why would they want one? But if you look again at this painting you will see each person has a small cup or type of drinking device. Which is much more in tune with their life status. Also there is no great meal on the table. Only the bread. Passover was the following day. Not the day of The Last Supper. Now I'm no dummy here folks. I know DaVinci wasn't there! He was asked to paint a portrayal of this event and so he did. The Last Supper, no doubt, was during the night. But look at the painting. Through the window behind the table you can see daylight! DaVinci made it take place during the day so that he could make the colors more manageable and vivid. 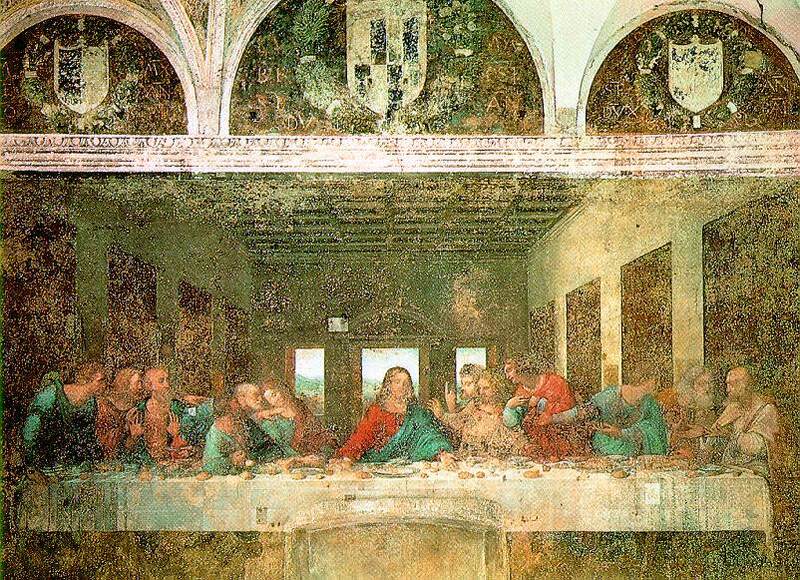 So it is DaVinci's vision of the Last Supper but, being a member of Priory Of Scion a secret group who included Sir Isaac Newton, Victor Hugo and Botecelli to name a few, used this opportunity to get the message out. So this is another example of things you don't see! At least this example, unlike the last I mentioned, didn't almost spread me all over Kingdom Come! I want to make a notation here off the subject. Religion was first based on the divine order of Nature. Think of the American Indians and ancient civilizations of Europe. Now think of how they are shown in movies and main-line history. How they were called "pagans" and "heathens". The ancient ones brought a balance to their world by half feminine and half masculine. The "pentacle" represented the "feminine". Today the word pagan is accociated with devil worship. Paganus is a Latin word which meant a country dweller. Vilain, another Latin word is villager. The "pentacle" is a pre-Christian symbol of worshipers of Nature, the Sacred Feminine. All of which were convuluted by the Church where "villager" became "villian", Poseidon's Triton became satan's pitchfork, Wise crone's pointed hat became a witches hat and Venus's pentacle became a sign of the devil and Mary Magdelene was re-invented as a prostitute. These last two degradations to rid the "Feminine" goddess from the scene. In every major religon in the world women have a minor role if any at all in the religon or society. A victor's overtaking of a people, their symbols and degrading them... vilains andpagans. This Is why the Priory Of Scion was born. By men who tried to spread this word and help keep a more balanced world. But it had to be done in the strictest of secrecy! Dan Brown has been attacked for inaccuracies as to the Priory Of Scion and it's origins. A modern Priory Of Scion was offically established in 1955. This is where one of his facts are challenged. That they did not exist in ancient times. What the challenge ignores is the change in use of languge. In the ancient spelling it is clear the Priory Of Scion did exist in ancient times. Priory Of Scion was founded in 1099 by the elected King Godefroi de Bouillon in Jerusalem upon the city's capture. Actually Bouillon declined the title on religous grounds and was designated Holy Sepulecher of Jerusalem! His brother, Baldwin, who succeeded him, did take the title "king". In contrast to this The Vatican had a deeply Catholic sect named Opus Dei. They practiced "corporal mortification". A quite powerful self abuse for anything approaching a sinful thought. Opus Dei also used brain-washing and coercion on non believers or "start-ups", a useful tool of the Church for that time in history i.e. Galileo. Luckily the Vatican handled that and kept him under house arrest for saying the Earth revolved around the Sun. Opus Dei still exists. Their headquarters is in New York City. In 1982 Pope John Paul II elevated them to "personal prelature of the Pope". Coincidentally this came about the same time Opus Dei transferred almost a billion dollars into the Vatican's Institute for Religious Works... The Vatican Bank. Answer To "Don't Count On What You See! Bloody genius if you got 6! The Human Mind Tends To See The Letter "F" As The Letter "V" In The Word "Of" In Sentences Of Text!....Wierd aint it? Man! I viewed that '68 pre-tour comeback concert Elvis did today and I have to say it was great to see the guy again. The way he looked then and there coming back to life and rock & roll. But it was obvious the "scream" factor was missing from the girls surrounding the stage. They (the girls) did good. They tried their best to reproduce the pre-army presence Elvis inspired in the audience. But seeing them there just sitting...That was the "tell". Elvis was in top form but it was out of sync with the obvious "direction" of the crowd. They appeared to be acting. Of course Elvis was diverted from that path into the sun and surf movies which detracted and lost a lot of followers. But he did the "phoenix" thing again and rose to the top in Las Vegas. A kind of museum to go and see Elvis live. He still charted some great hit songs but somehow lost the connection to the rock and roll people. Never being thought of in the same breath as The Beatles, Jefferson Airplane, The Rolling Stones, Otis Redding...I could go on and on but today I got a glimpse of the guy who, when I was 11 years old, inspired me. I was "busted" in music class for doing an impression of Elvis, while Hound Dog was playing, by the principal as she walked in on our music class. I remember I was scared enough getting up there in the first place. But the result of her action devastated me. I sat down, my hands shaking and my blood feeling like it was going to burst through the pores of my face. I felt bad for the music teacher too. Who was quietly, probably having her job put on the line. That's the way it was in the beginning. Thanks Elvis. You helped in giving me heart and soul and gave me the inspiration to keep on keepin' on! Thanks Elvis...Thank You Very Much!